Every other year during January HUD requires us to perform a local Point In Time (PIT) count. The PIT count data is an extremely important source for local program, system planning and future funding for our area. To be responsive to the needs of persons experiencing homelessness in the community, we need to understand how many individuals and families are being served by our local homeless services system, as well as how many are unsheltered and might still need access to services. Performing this count in our rural area is a very difficult task for us and our partners in the community. We plan to do something we have never done before for the PIT count in our community. 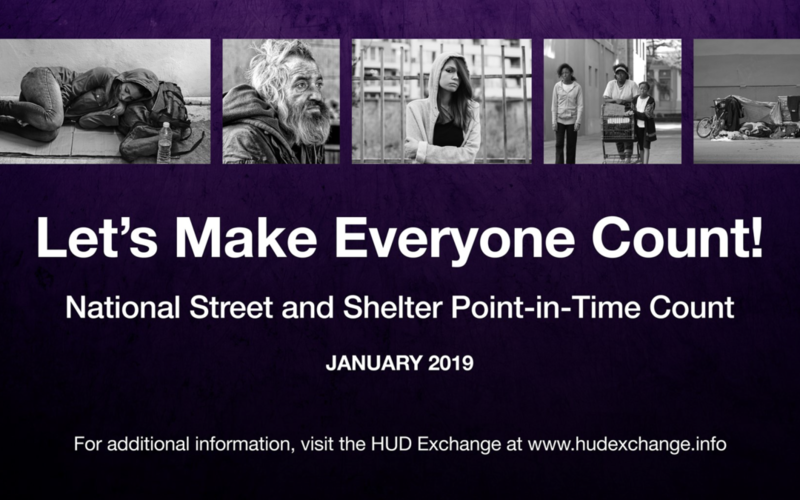 On Tuesday, January 22, 2019, during the day, we are going to station volunteers with surveys at various organizations that provide services to those that are homeless in our community. Then, from 4pm-7pm at the House of Hope, we will be providing hamburgers, hot dogs, soda, water, granola bars, peanut butter crackers, bags with toiletries, haircuts and possibly health checks and flu shots. Also, some of our community partners will have representatives with applications and information for their programs and even employment agencies to sign up prospective employees during this time. With the weather forecast of snow and a high of 38 and a low 20, the blankets and socks will be a comfort for the homeless. Lastly, from 7pm till about midnight, myself and a few others will be out in the community driving and conducting more surveys and we plan to take some of the food, blankets, socks and toiletries with us to give to those that could not make it in to House of Hope. Making a monetary contribution toward our goal of raising $2000.00 to purchase 100 wool blankets and socks for this event. We would love it if you would hang the flyer in your organization to help us promote this event!!!!! Any contribution you can make will be greatly appreciated. Please feel free to contact me (Chonda) at 870-741-8673 if you need further information or have any questions.